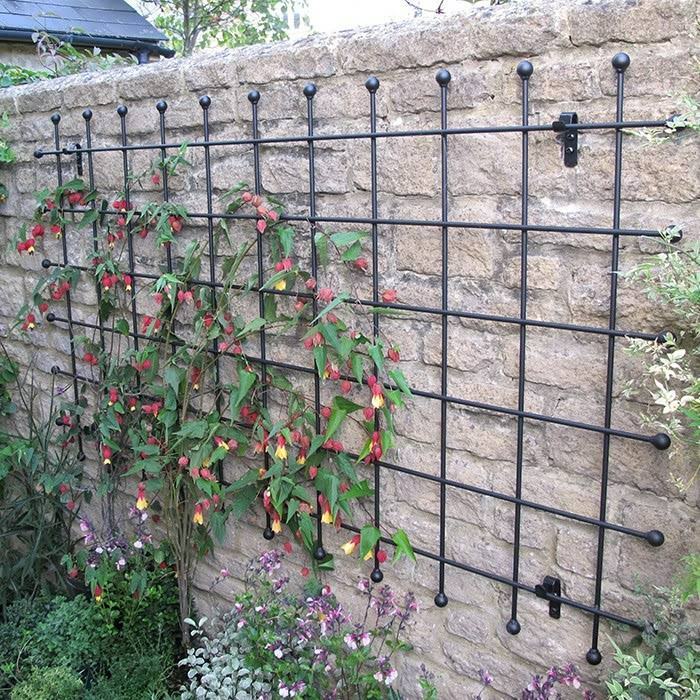 These sturdy garden trellis panels are constructed with 8mm steel rods, powder-coated in matt black or left unfinished to rust perfectly, making a striking feature in your garden. Manufactured in the UK by Harrod Horticultural they are a perfect support to any climbing plant in your garden. All panels are 1.7m long and come in different widths. They keep the plants spaced 25mm away from your wall to ensure protection and good air flow. Panels can be fixed with brackets (4 to a pack) if needed.